Just because the Posners keep kosher — adhering to the Jewish dietary laws that forbid mixing meat and dairy — doesn’t stop them from being, and eating, like diehard baseball fans. Recently, the Posners left their apartment on the Upper East Side in Manhattan to get to Citi Field early enough to watch their beloved NY Mets — currently in first place of the National League East division — take batting practice before their game with the Philadelphia Phillies. It was also before the crowds started filing in so they could grab an assortment of kosher classics, including hot dogs, knishes and pretzels, before the lines got too long. 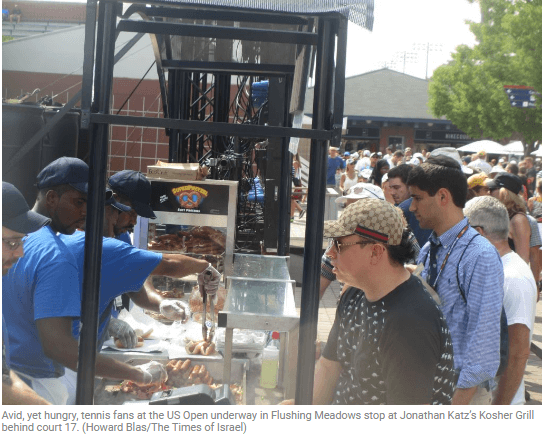 Just a Matt Harvey arm’s throw away at the US Open underway in Flushing Meadows, Jonathan Katz, owner of the Open’s Kosher Grill behind court 17, had already sold nearly 500 hot dogs and all of his wraps to avid, yet hungry, tennis fans. In between matches — where top Israeli player Dudi Sela crashed out in the first round — the Solomon family of Long Island waited patiently in line at Katz’s popular food stand. With them were their strictly observant cousins Yona and Uri Walfish of Queens, who were delighted they could attend a sports event and not worry about buying food. “People from all over the world buy kosher hot dogs, people who don’t even know what kosher is want kosher,” said Katz, who manages seven workers every day of the tournament except for Friday night and Saturday. 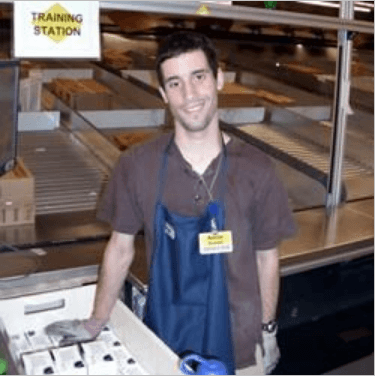 Katz, who worked on the New York Stock Exchange before starting in the kosher food business, remembers growing up in Queens and going to games where there was no kosher food, except for ice cream. Now you can find it pretty much at any major sporting event. Katz began serving kosher food in 2003 at New York Giants football games. He then went on to found Kosher Sports Inc., which operates concession stands in Baltimore, Philadelphia, Chicago, Detroit, Miami and elsewhere. His company has even provided kosher food at the Super Bowl, the annual championship game of the National Football League. Dan Eleff, a self-described foodie and founder of dansdeals.com, recently compiled a roundup of 31 professional sports teams that have a kosher food stand, noting the recent addition of one at Dodgers Stadium in Los Angeles. 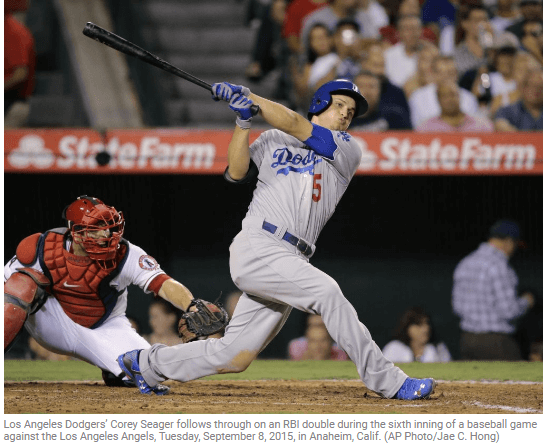 The Dodgers are now one of 10 baseball teams — in addition to seven football, seven basketball and seven hockey teams — that offer kosher food across the US and Canada. But kosher food is not just restricted to North America. You can even find it across the pond in England at Wimbledon, the oldest tennis tournament in the world and one of four Grand Slam events with the US Open as well as the French Open and Australian Open. 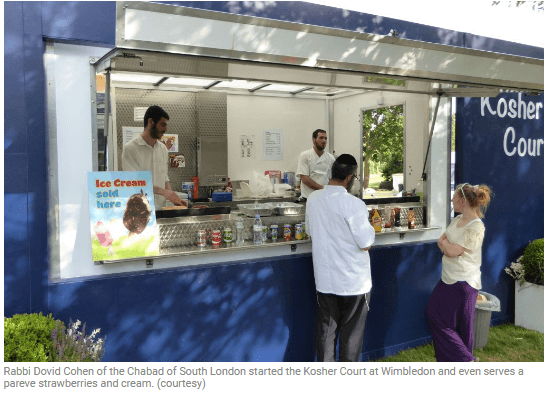 In 2009, Rabbi Dovid Cohen of the Chabad of South London started Kosher Court, a kosher truck located outside the stadium. “We sell several hundred hot dogs, burgers and baked potatoes over a two-week period,” said Cohen, who is particularly proud of serving a Wimbledon classic — strawberries and cream, stressing that the cream is parve and contains no dairy ingredients. Cohen is unaware of Chabad colleagues selling kosher food at the French or Australian Opens, though he noted that the Jewish movement provided kosher food at the 2010 World Cup in South Africa and at various cricket tournaments. 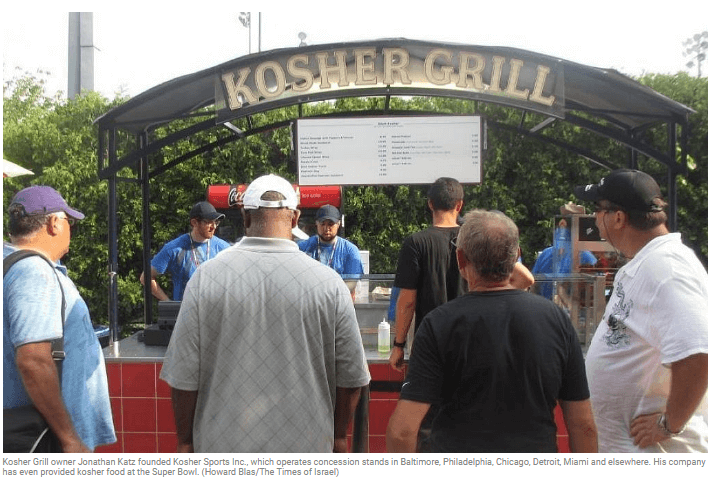 Menachem Lubinsky, founding publisher of trade magazine Kosher Todayand creator of Kosherfest, the world’s largest kosher food trade show, observes an increase in kosher food options at sports events throughout the US. In his view, kosher food at sports events is more than a community service to observant Jews. “It is a recognition of the fact that more and more people require kosher food,” he said. 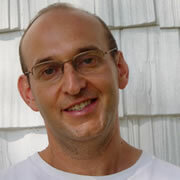 Food stands, according to Lubinsky, also offer more than just food. The kosher vendors in some stadiums serve as a gathering point for daily prayer services during baseball’s seventh-inning stretch or between periods at NY Rangers hockey games. “In places like NY, you may find a minyan [prayer quorum] of up to 50 or 60,” he said. Yet the food stands face challenges, too — kosher vendors close on the Sabbath and Jewish holidays, and sporting events can be infrequent or short-lived. 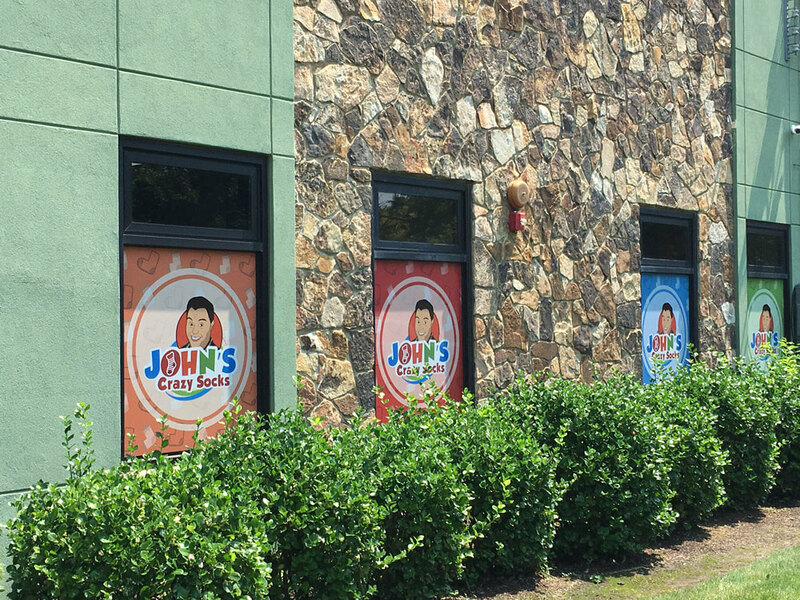 “Despite the challenges of running a food stand according to halacha [Jewish law], in the end, it is worth it,” Lubinsky said. And it certainly has been worth it for the Kosher Grill at the US Open as Katz and his staff work in the 92°F (33°C) heat grilling up hotdogs for his Jewish and non-Jewish customers alike. “We expect to sell up to 600 a day,” he said with a smile.